This week's Latma has some good skits. Which do you like better, Peres, Europe or --? United States President Barack Hussein Obama is just one of those lucky ones. He managed to get reelected very easily, and the #$!%$! hit the fan only afterwards. Eventually history my judge him fairly and accurately, but right now he is totally coated with Teflon, as the saying goes. Consider Obama's background. He was raised by a rather unstable extreme Leftist mother who left home young and had a hankering for foreign men of other races. After schlepping him around the world, she let her parents raise him. He had to deal with being biracial in a white world. There are all sorts of scandalous posts you can find on the internet claiming that he became a drug addict, homosexual etc., but whatever the truth he managed to marry a very strong intelligent, stable black woman and get elected President of the United States. That takes more than luck. Obviously, he has the smarts to learn how to play the game right and attract the right mentors/supporters. Obama can't expect his luck to last forever, nor can his mistakes be hidden for all time. The recent scandals are chipping away at Obama's popularity ratings. I doubt if his ratings will go much further down, because there's a strong element of "worship" in many of his supporters. What's interesting is that many Democrats, Obama voters, are upset at the revelations, but they just can't blame Obama. 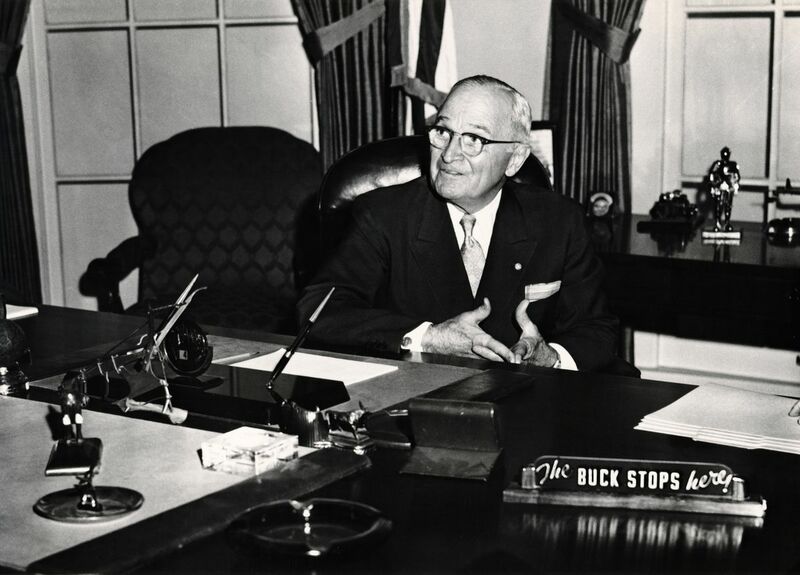 the famous "The Buck Stops Here"
Americans on the whole don't see it as a "the buck stops here" issue. The media loved to call Ronald Reagan the "Teflon president," but Obama is the real one. It used to bother the Leftist media that people loved and believed Reagan. They worked hard to chip away at that support. In America there are voices protesting Obama, such as Charles Krauthammer, who believes that the Obama scandals are worse than most people think. Considering the power and influence the Obama White House has over the world, there's lots to worry about. Cracks in Bibi's New Government? Our Prime Minister Binyamin Netanyahu had a very hard time putting together his latest coalition government. Even though he started his election campaign with what had appeared to be a winning hand, circumstances got in the way and he ended up needing an awful lot of MKs to make that "sixty plus" majority. To make matters even more complicated, although his Likud has a large portion of MKs from the Right, he filled his coalition with parties from the Left, starting with his Justice Minister Likud-Kadima deserter no extreme Left Tsipi Livni. Not only won't she reform the Justice Ministry which many of his Likud MKs and voters would like, but she has been given unprecedented powers to "make peace" with the Arabs who want to destroy us. To add to his difficulties is the two-headed alliance of Yair Lapid's Yesh Atid (There's a Future) and Naftali Bennett's Bayit Yehudi (Jewish Home.) Their parties similarities, or lack of, remind me of the screwball comedy when Danny DeVito and Arnold Schwarzenegger played twins. Both those parties ended up with a surprisingly large amount of MKs, which Netanyahu desperately needed to make his coalition. Lapid and Bennett, both first-time MKs succeeded in running ole Bibi ragged, and in the end he also gave them a lot of power. Bennett has a lot of strong Jewish right wing nationalists among his Knesset faction and got the votes from the Right, which prevented Eldad and Ben-Ari's party from passing the threshold. But now those voters are realizing that they've been had. They aren't happy with Bennett's policies. And Lapid's luster has already seriously tarnished with the release of his austerity budget which hits the lower and middle classes very hard. Lapid has been using the threat to leave the coalition when he doesn't get his way, such as in pushing the draft of chareidim into the IDF and fining those who refuse. The fact that his budget has cut the IDF's money, and there won't be enough to cover the expenses of more soldiers seems irrelevant to his ideology. That's a sign of a true Leftist- "Don't let facts get in the way of our ideology." The only thing that Netanyahu may have in his favor is that his coalition partners may be too afraid that they'll get fewer seats in new elections. Can Tsippi Livni Be Serious? And what is this elusive peace supposed to achieve? I ask, as if she's listening. Justice minister says US can provide assurances that 2-state solution won't harm security. I guess Livni doesn't see the importance of sovereignty either. Justice Minister Tzipi Livni laid out her case for resuming negotiations with the Palestinians on Tuesday, claiming that some in Israel were using security as an excuse not to engage in a peace process. "In the Middle East, the choice is between bad options, but doing nothing is more damaging," Livni stated at an Israel Project conference. I may not be as good at getting elite jobs as Livni, but I really think that the worst option for us would be to give up our independence and sovereignty. She said, in addition, that "the US can provide assurances that the two-state solution won't harm security." Relying on another country to protect us is giving up on all we have been fighting and struggling for since the beginning of Zionism. The Justice Minister said Prime Minister Binyamin Netanyahu fully supports her efforts to relaunch peace talks based on a two-state solution and Bayit Yehudi leader Naftali Bennett, who has spoken out recently about the dangers concessions pose to Israel's security ,"has said he can live with talks." Don't forget that Prime Minister Binyamin Netanyahu gave her a blank check to her to bring her party into the government. She got the "first-to-sign bonus." That's good for the Left and bad for the future of the State of Israel. "I prefer hiring those with degrees in History, Economics, Geography, Sciences etc. rather than those who studied Journalism in college. Any intelligent educated person can learn how to write a competent article, but the Journalism graduates only know how to write and have no real knowledge of anything else." 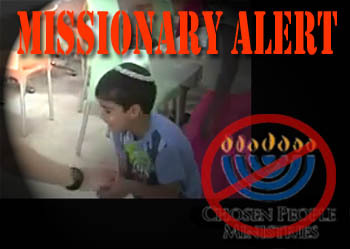 "A 23-year-old Jewish man was assaulted near Long Island on Sunday night. He did not require hospitalization." I'm not writing this to belittle the pain and suffering of the victim. But I was very curious about what they had meant when writing " near Long Island." I grew up on Long Island and I've never heard such a description. 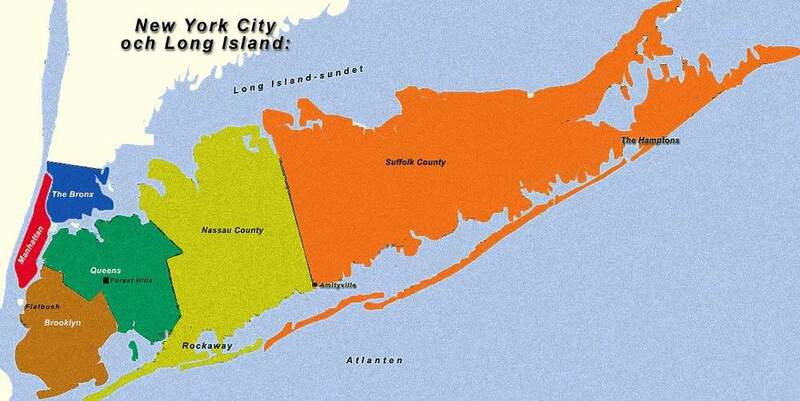 Here's a map of Long Island. As you can see, it has four colored areas, because it contains four counties, Brooklyn and Queens, which are boroughs of New York City and also Nassau and Suffolk which are counties in New York State. If someone was to ask me what is "near Long Island," I'd say The Bronx, Connecticut and the Atlantic Ocean. But "near Long Island" is not a location description I'd ever heard, so I was very curious about the location of the attack. And so obviously I checked out where the attack took place. Ehud Halevy, the 21-year-old Jewish man from Brooklyn whose beating by New York police officers was caught on videotape, has filed a civil rights lawsuit against the officers responsible for the attack. It seems that it took place in Brooklyn. Brooklyn is on Long Island, so how can it be described as "near Long Island?" Actually, New Jersey can be described as "near Long Island," because the Verrazano Narrows Bridge connects them, davka, via Brooklyn and Staten Island. It may be understandable if someone who lives far from New York isn't all that aware of the simple fact that Brooklyn is southwest Long Island, but I'd expect someone writing from New Jersey to have a grasp of that basic geography. And another "davka" for you is that the NJ paper credits Arutz 7 as the news source. *We used to be on the "speed-dial" of international journalists and the staff of the Government Press Office for those who wanted to interview a real live "settlement family." There were days when we'd give multiple interviews, including TV. I'd find myself rushing to change clothes as one TV crew left, before the next one came in. I used to joke that our number must be written on the doors of the "loo," with a PS that I served good food and cake, and our guest bed was comfortable. "Why are you reading that anti-Semitic newspaper? It's full of lies." "I know, but I like reading about how powerful we Jews are." That joke went through my mind when I saw that headline. For those of us who live in the so-called "settlements" we feel that there hasn't been enough growth. Shiloh is waiting for its next big housing project to start. It's hard for builders and private individuals to get building permits. Cities and larger communities like Ariel, Ma'ale Adumim and Efrat have been having even more problems getting building projects approved. But in the eyes of the editors and writers of Ha'aretz, the small amount of building is too much. Just like in the joke, we look much more powerful to our enemies. Yes, unfortunately, to these Jews we are our enemies. They prefer those who want to destroy us, rather than fellow Jews who are doing everything to build and develop the State of Israel in the Land of Israel. The Left wants to see us as history, long gone. The irony is that we are history in the sense that we represent Jewish History. We are the continuation and the key to the future of the Jewish People. Why should that bother them? In recent years there have been too many reports of Arab terror attacks and riots instigated/directed/inspired by journalists. They get paid to show action, and the Arabs love to cooperate. Having an audience well equipped with cameras to record Israeli citizens and IDF soldiers injured and cowering is great encouragement for them. algemeiner.com just published a video which shows how this is done. You can easily see how the journalists are well-dressed/equipped for the occasion with flak jackets, helmets etc. This reminds me of a BBC Radio report I heard over twenty years ago, when the Intifada was a new Arab term for attacking Jews. I don't number them since I've never heard of an official end. It comes and goes in waves but never totally stops. In that report, the radio journalist made it clear that he was crouched together with the attacking Arabs as they threw rocks and bricks at Israelis. You could hear the noises and his uncontrolled excitement. The IDF began responding with teargas, and the journalist told us how the Arabs had come equipped with cloths and remedies to protect their eyes and lungs from it. He very emotionally described how parents comforted their children and covered their eyes to protect them. It was 100% clear that the journalist was totally identified with the Arab attackers and considered this a great adventure for himself. Unfortunately, not only foreign journalists identify with the Arabs who attack Israel, so do Israeli journalists, politicians and academics. They consider themselves "post-Zionists." But to tell you the truth, there has always been Zionist, mostly Left-Labor who considered it important to give the Arabs their own country next to the State of Israel, even before the establishment of the state. It's not enough that the British imported the Hashemites and gave them Transjordan to rule, but the United Nations Partition Plan, approved by David Ben-Gurion's followers, allocated most of what was left of the British Mandate of Palestine to the Arabs. The World expected the Arabs to defeat us in 1948 and at best we'd be governed by a continuation of the Mandate. Luckily G-d had other plans. There's nothing new in journalists trying to make news; they just can't make facts out of lies. Is the world an insane asylum? If so, who are the inmates and who are the staff? Americans and others like to call the American President "the most powerful man in the world." Maybe it's true, but even so, does it make him (or a possible her in the future) the smartest, the wisest person in the world? We, the world shouldn't forget that Barack Hussein Obama, now serving his second term as American President was joyful about the "Arab spring" as he called it and the violent change of government in Egypt. This was even though Egypt had been a pretty loyal ally of the United States for decades. I don't think that history is Obama's strong point. He seems convinced that there had been a country called "Palestine" in the Land of Israel before the State of Israel was established in 1948. The present government in Egypt is among the worst in the world. Considering how the Muslim Brotherhood took over, this shouldn't really surprise anyone. Are Obama, his advisers, supporters etc surprised? Have they admitted that they backed the wrong horse? And closer to home for me, we have President Shimon Peres. According to Israeli Law, the president is supposed to be a "figurehead" without any real power, certainly no rights to make policy, negotiate anything etc. But we have this elderly extreme Leftist who thinks that the country exists to serve him. Peres is beloved by the international Left and pro-Arab anarchists. Most Israelis totally disagree with his policies and his faith that with enough presents, the Arabs will be willing to live with us in peace. News is that Peres is still promoting his vision of appeasement aka "Peace" and claims that most Israelis agree with him that we'd be perfectly happy to retreat to the 1949 ceasefire lines. This is so far from the truth and against Israeli Law that it could be considered treason. Unfortunately, the Israeli justice system is also controlled by the extreme Left, and justices decide according to their concept of right/wrong, good/bad, moral/immoral/amoral, which is actually against the law, but in This World, there's nobody who can convict them all. On Shabbat I read a speech by Tzachi Hanegbi in the Jerusalem Post, Can Israel rely on the US? It was originally presented at Washington Institute for Near East Policy. I found some of it disturbing. He had no problem mentioning what he considers his mother's mistake. In November 1947, 10 years before I was born, the United Nations General Assembly voted in favor of the creation of the State of Israel. Tens of thousands of Jews took to the streets in spontaneous celebration, overwhelmed with joy. Not everyone took part in this outpouring of bliss. My mother, then 22, was one of the daring fighters in the underground movement who opposed the British rule. In historical perspective, those who celebrated were justified. My mother – and others – would have preferred to wait until their vision of Greater Israel could be fully attained. They did not appreciate the advantage of realpolitik over lofty dreams. Leaders must come to terms with imperfect realities. Years may pass before the wisdom and foresight of their decisions become apparent. But although later in the article he said that Disengagement had made it easier for the Arab terrorists to attack Israel, he didn't apologize for his role in it. During the time leading to Disengagement Tzachi and many other Israelis in all walks of life took the easy way. They didn't risk their jobs, their cabinet positions, their comfort to stop that terrible mistake from happening. At best they claimed that they opposed Disengagement, but they didn't "shake the boat." They whispered when we needed shouting and banging! Our history, however, has also proved that such pragmatism can be ill founded. The consequences of the unilateral withdrawal from Lebanon in 2000, and from the Gaza Strip in 2005, illustrate this. Hezbollah turned South Lebanon into a fundamentalist Iranian proxy. Hamas turned Gaza into a terrorist launching pad, from which tens of thousands of rockets have been fired at innocent civilians. I wrote quite a lot about the fact that he had no problem staying in the Sharon government during Disengagement and then was among those who deserted the Likud and founded Kadima. As individuals the majority of Israelis, including soldiers and policemen don’t want Disengagement to take place. The majority, in their hearts, wants Jews to have the freedom to live in all of Eretz Yisrael. The majority knows, in their hearts and minds that Disengagement endangers the entire country and each of them individually, whether they live in Ma’ale Adumim or Ramat Gan or Ramat HaGolan or Beer Sheva. Ordinary Israelis look at politicians like Tzachi Hanegbi and Limor Livnat who claim to oppose Disengagement but remain in the cabinet, unwilling to give up their cushy jobs, and they can understand their dilemmas. I look at these people as weak and pathetic hypocrites. I have no respect for them. 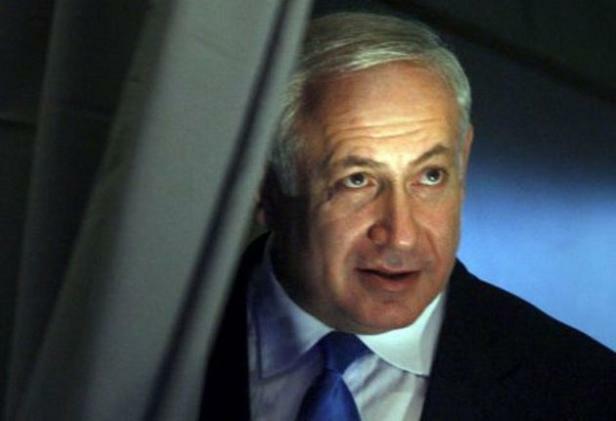 Bibi Netanyahu’s late resignation from the cabinet is too late to buy my respect. I've known Tzachi for many years. 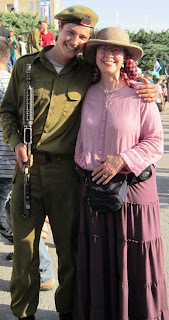 He is Geula Cohen's son, and Geula is like family for us. it breaks my heart that her intelligent, talented son has turned to the Left. He calls it "pragmatism." I call his ideology that of an opportunist. Tzachi's not a leader. A true leader has guts, takes risks for what he/she believes in. A leader shows passion when talking about his/her beliefs. That's the key element in charisma. Unfortunately there are some amoral/immoral people with that sort of power to lead. I consider myself the pragmatic one, and I'm as far to the Right as his mother is, if not further. Pragmatists look at the facts, at history; they don't keep trying the same failed "experiments." Life was a lot more peaceful here before they started all of these "peace" agreements. We Israelis have ended up looking weak, which encourages the Arabs to attack, both as terrorists and in their so-called "negotiation tactics." Again Hanegbi is sitting in a government coalition with MKs and ministers who aim to destroy Jewish homes in the Land of Israel. Why haven't we seen some leadership stopping them? Where are our leaders? Is it that nobody has the necessary guts? Caroline Glick's "Thank you Hafez al-Assad" and Latma's "Muhammad aDura lives and other PR victories"
This week on the Tribal Update, the weekly satirical newscast produced by Latma, the Hebrew-language satirical media criticism I produce, we bring you an interview with Israel's PR guru do discuss the government's decision to leap into action and defend Israel from France2's libelous report which claimed that IDF forces killed a Palestinian boy named Muhammad a-Dura in...2000. We also bring you and interview with Prime Minister Netanyahu and his talented attorney discusses the Prime Minister's expense account. And much, much more..
Latma was established by Caroline Glick and shows the Right way to see things that happen in Israel and the world. It's also fantastic political satire, well produced, directed and the acting is top notch. I heard Glick speak this week at the Memorial for Manny Winston. She voiced optimism and reminded us that the Israeli economy is much better than the American or European ones. And of course it would have been much better if we hadn't cancelled the Lavi project. Syria is a mess because there are no good guys in a position to win. Syrian President Bashar Assad is one of the most dangerous leaders in the world. He is a major supporter of terrorist groups. He enabled al-Qaida and Hezbollah to use Syria as a logistical base in their war against US forces in Iraq. He is a vassal of Iran. He is allied with Hezbollah. He is a mass murderer. Since the civil war began two years ago, Assad's complete dependence on Iran and Hezbollah - as well as on Russia - has been exposed for all to see. There is little doubt that whatever checks the US was able to exert against him before the civil war began no longer exist. And if he survives in power, he will be completely indifferent to US pressure and so will behave far more violently than he did before the war began. And yet for all Assad's horrific behavior and the reasonable presumption that his actions will only become more violent and dangerous with each additional day he remains in power, the most telling aspect of the Syrian civil war is that Israel, the US and Europe are incapable of deciding whether he is better or worse than the alternatives. Havel Havelim, the veteran Jewish blog post round-up is doing an experiment. Instead of weekly, it now appears monthly, though if there's a blogger who wants to host in-between, that's great, too. Yocheved Golani is the first hostess of the new Havel Havelim. Since the Kosher Cooking Carnival is on Rosh Chodesh, the beginning of the Jewish Month, it seemed a good idea for Havel Havelim to be in the middle of the month. That's when the moon is full. For more information, please join our HH facebook page, where we sign up to host an edition and keep track of what's happening. I hope that we'll soon be able to use blog carnival again. I find it very useful for the Kosher Cooking Carnival. Back to the newest Havel Havelim, I want to point out that my favorite post is on Esser Agaroth. He wrote about something I had missed. 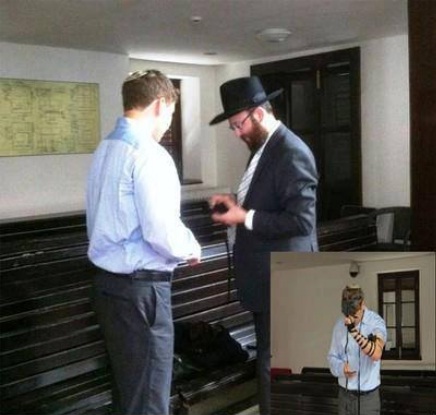 When the Netanyhu's were in China, Avner Netanyahu asked to put on T'fillin and prayed in the synagogue. He obviously knew how. Most of us join in on the sport of complaining about Prime Minister Binyamin Netanyahu, but we really ought to remember that although he has never made a point of pretending to be more religious than he is, he and Sara are doing their best to raise their sons with Jewish values. Both of their fathers were cared for, in their final months, in the Prime Minister's Residence. Kibbud Av 'Em, the great mitzvah of honoring one's father and mother is definitely a mitzvah their sons participated in. There are some great things in the world of Jewish blogging. Havel Havelim is a very useful tool to keep us all connected. Please keep it going and growing. Thanks again to Yocheved who has certainly done a lot for Havel Havelim. Let's just start with two pictures I took yesterday. Over the years I've photographed lots of Arab homes, from the distance of the roads, traveling to and from Shiloh. My "Arab Mansions" series includes some of my all-time most popular/viewed blog posts. That series is from 2007, and as you can see from the upper photo, the Arabs are getting even more "creative" and grandiose in their building styles than ever before. Unlike when Jews build, the Arabs don't need all sorts of political and engineering permits; they just build to their heart's desire and pocketbook/bank account. Displaying a total lack of true sovereignty the State of Israel allows foreign leaders to dictate when and where we build. A de facto or de jure building freeze is immoral, no matter how you slice it. Prime Minister Binyamin Netanyahu has been quietly enforcing a de facto building freeze on all construction for Jews in Judea and Samaria and areas in Jerusalem claimed by the Palestinian Authority, Israeli media reported Tuesday. The Prime Minister promised U.S. Secretary of State John Kerry to curtail construction for Jews until mid-June to give PA Chairman Mahmoud Abbas time to fulfill his condition for a return to face-to-face negotiations with Israel. Army Radio reported that Prime Minister Netanyahu told Housing Minister Uri Ariel, who lives in the Judea and is a senior member of the Jewish Home party, to suspend publishing tenders for 3,000 residential housing units, including those to advance plans and construction of homes in the E-1 area of Maaleh Adumim. It's a total disgrace and embarrassment that Israeli Prime Minister Binyamin Netanyahu doesn't send United States Secretary of State Kerry and others packing as diplomatic sanctions. The keyword/concept at the memorial event for the late Emanuel Winston was "sovereignty." Israel's totally irrational cancellation of the Lavi fighter plane project was a display of dependence, not sovereignty. That is the true tragedy of that decision. It wasn't about airplanes; it was about Israeli military independence and security. That's what sovereignty is all about. It's when a country does what's best for itself and doesn't search for approval and support from others. The Israeli Left's fear of true independence isn't new. One of the things I understood from the late Benzion Netanyahu's The Founding Fathers of Zionism is that Chaim Weizmann held very anti-Jewish independence views. After reading that book I couldn't understand why he had been chosen as Israel's President. According to Professor Netanyahu, Weizmann wanted to make Israel more a dependent of Britain rather than an independent country. Israeli National Budget, Not Leaking Money in "The Settlements"
As usual, Ruthie Blum hit the nail right on the head in her Israel Hayom article, Tax shekels poorly spent . The Left loves to blame the normal living expenses of communities in Judea and Samaria for Israel's budgetary problems. But the truth is totally different. First of all, as Caroline Glick mentioned in her talk at the 2nd Yahrzeit of Emanuel Winston, the Israeli economic growth is far better than the American or European. Contrary to Yair Lapid's scare-mongering, our economy is strong and healthy. Blum wrote about the terrible results and financial wastes of the Masa Israel Journey program, which instead of encouraging support and aliyah of young diaspora Jewry is fermenting more extreme Leftist anti-Israeli activists. A recent article by Greer Fay Cashman mentions the over budget expenses of President Shimon Peres. No one will deny that Peres is the most active of Israel’s nine presidents to date, and travels abroad with far greater frequency than any of his predecessors. Because he has to take several senior staff and security people with him, the cost of such flights becomes inflated, and last year came to NIS 8.4m. What the Calcalist report does not mention is the exorbitant cost of flowers. There are huge floral decorations in abundance at the President’s Residence, and they are changed two or three times a week – especially if there is a state dinner, when the flowers gracing the tables and displayed in giant urns in the reception hall are in the national colors of the visiting head of state. Today, when artificial flowers look so real, there could be a savings of hundreds of thousands of shekels – maybe even millions – if all state institutions made a huge initial purchase of artificial flowers that could be rearranged to suit the occasion. And about the so called "extra expenses" of the settlements. That's one of the Left's favorite lies. Think about it. Schools, medical centers and other services are needed for citizens wherever we live. It actually cost less to build in Judea and Samaria, because there's more empty land and real estate cost less. Teachers get the same salary wherever they live, and rural bussing to school cost the same if in the Negev, Galil or the Shomron. Housing is less expensive in most Jewish communities in Judea and Samaria, so families with lower incomes can live more comfortably. That's a simple example of supply and demand. And when families can live more comfortably, than there's less need for welfare and all sorts of social services. The more homogeneous communities are also socially stronger, helping each other which also reduces government expenses. As we all know, the Left doesn't let facts get in the way of their ideology. According to the headlines PM wannabe the present Israeli Finance Minister Yair Lapid doesn't like the "Leftist" label. Speaking at a meeting of his Yesh Atid party Monday, Lapid said that he had very clear ideas about Israel's relations with the PA, and that his views should not come as a surprise to anyone. “Whoever thinks that a diplomatic solution will not entail two states for two peoples is mistaken. Any idea of a bi-national state, whether on the left or the right, would mean the end of Zionism, and I am a Zionist,” Lapid said. I don't think that Prime Minister Binyamin Netanyahu would accept it for himself too. Livni once was comfortably in the more Right wing Likud with Bibi. Only Shimon Peres isn't shy about calling himself Left. give the Arabs a state they'll call "Palestine"
Both of those things will seriously endanger the very existence of the State of Israel. At the event memorializing Emanuel (Manny) Winston, Caroline Glick and other speakers spoke about the terrible mistakes the State of Israel has been making. One of them is that we, the State of Israel, demand security rather than sovereignty. With true sovereignty comes security. The late Manny Winston understood it. And unfortunately the Arabs do, too. True peace is not the result of negotiations. True peace is something that evolves when neither side aims to destroy the other one. It takes time. Whenever people claim that if we don't hurry we'll miss the "window of opportunity" they are not referring to true peace. What they, the Left-no matter which label they use for themselves, propose is like a cake or bread quickly baked with too high heat. On the surface, at least for the first few minutes it may look fully baked, but it will quickly fall, collapse, all wet and soft inside. Last night at the Menachem Begin Heritage Center I attended a very special event in honor of the 2nd Yahrzeit of Emanuel Winston. It was MC'd by his amazing wife Gail. We also heard messages from his two sons. And there was a panel led by the multi-talented former aeronautics engineer, MK, Minister, Ambassador et alii, Moshe Arens. Other members of the panel were Caroline Glick, Ruthie Blum, Jay Shapiro and my husband Yisrael Medad. 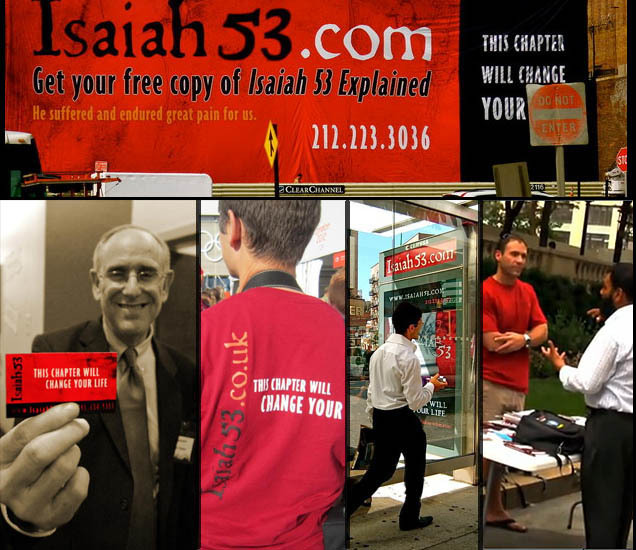 At the event, it was announced that a new internet site has been created that will promote and publicize Manny's views and articles, http://winstonisraelinsight.com/. Gail told us that there are thousands of articles waiting to be typed up and uploaded to the site. The main subject, which was discussed in much fascinating detail was the tragic cancellation of the Lavi, the Israeli fighter plane. Both Arens and Shapiro were heavily involved in that project, so hearing them speak added personal, factual details that can't be found from any other sources. Arens, among other professions, is a historian and political scientist. Israel was told to drop the Lavi after Caspar Weinberger observed the flight test data. It was too good; the results were coming in too fast on the plus side. So the “Tucker” had to be killed again. I recorded some of the talk, (until my camera's memory card got overloaded,) especially what Moshe Arens said. As the recordings finish uploading on youtube-shilohmuse, I will post them here. So keep checking up over the next few hours or tomorrow, too. Herew's Gail Winston talking about what we in Israel really need, Sovereignty! Even though Israel defeated Syria twice, in 1967 and during the 1973 Yom Kippur War, the Syrians still unabashedly dream of destroying us. On May 10, Assad's leading Palestinian ally, the Popular Front for the Liberation of Palestine-General Command, said it was organizing attacks on Israeli positions in the Golan. PFLP-GC, sponsored by Damascus and financed by Iran, said it was recruiting Palestinians for combat missions. "The leadership of the PFLP-GC announces that it will form brigades to work on liberating all violated territories, first and foremost the occupied Golan," PFLP-GC said. "The Popular Front's leaders have opened the door to all Syrian citizens to volunteer in the formation of the resistance." The Syrians not only "dream" of destroying Israel from the north; they are developing their military with Tel Aviv as their main target. Damascus has put a number of advanced weapons on standby to strike Israel, should Jerusalem hit targets inside Syria again, the UK’s Sunday Times reported Sunday. According to the report, satellite images show Syria has readied its stock of Tishreen missiles for use against Tel Aviv. We in Israel must keep that in mind. Unfortunately, there are too many Leftists in positions of per and influence in Israel, and they get dangerously Pollyannaish about our enemies. They believe that everyone has their "price" and "peace" is something you can buy with flattery and Land. Due to their ideological orthodoxy, they consistently misinterpret our enemies. According to the official, Israel has "underestimated" Assad's strength and the inner life force of the Syrian regime. Currently, there are differing opinions within the defense establishment about what to expect in Syria and what outcome for its northern neighbor would benefit Israel. The opinion that the fall of Assad and the assumption of power by the rebels would be good for Israel has become less popular recently, as it has emerged that the infiltration of extremist Jihad and al-Qaida elements is deeper and wider than was originally estimated. These mistakes are nothing new. That's how Syria and Egypt caught us totally unprepared on Yom Kippur 1973 when they simultaneously attacked from the north and south. For the first few days of the Yom Kippur War, the State of Israel was in serious trouble of being destroyed. I consider our victory then the greatest victory we ever had. We can't just depend on miracles to save us. Could That Really Be Common Sense From Tsippi Livni? 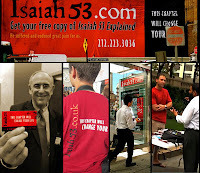 Is the Moshiach, Messiah really getting closer? There is no chance that Israel could reach a peace agreement with Hamas, Justice Minister Tzipi Livni said Saturday evening in an interview with Army Radio. Livni - the minister responsible for peace talks - was referring to remarks made by Turkish Prime Minister Recep Tayyip Erdogan on Friday that Fatah-Hamas reconciliation is imperative to the Israeli-Palestinian peace process. She added that Erdogan views Hamas positively, and this has been his stance for years. "This perception is not correct" she said. "Hamas represents an Islamic ideology that does not recognize Israel's existence. Hamas prefers to isolate itself than to say that Israel has the right to exist or to renounce violence." This is the woman who rationalized her joining the coalition by saying that she'd only do it to "make peace." Many Israelis, including me, are petrified that she'll make some horribly dangerous faux peace agreement with the Arabs. Prime Minister Binyamin Netanyahu has put her in charge of negotiations with the Arabs who want us destroyed. The PA's Abbas is no better than Hamas according to various articles on the Palestine Media Watch site. Abbas admits sending terrorists to kill Israelis "I demand [the release of] prisoners because they are human beings, who did what we, we, ordered them to do. We, the Authority. They should not be punished while we sit at one table negotiating. This is war. One (Israel) ordered a soldier to kill, and I ordered my son, brother, or others, to carry out the duty of resistance (euphemism for terror). This person killed and the other person killed. So why say this person's hands are stained with blood, and [he] must be kept in prison?" Nothing Abbas has done and said since proves that he has changed since he made that statement. Will Livni look at the entire picture and realize that she's barking up the wrong tree? Negotiations won't bring us peace. We'll only have peace when the Arabs want peace with us and not want to destroy and murder us. "The Pot Calling the Kettle Black," Latma's Take on the Latest "Bibi Scandal"
We also bring you an interview with a senior executive of Channel 10 - a station that exists only by racking up massive debt to the government. And much, much more! I also suggest that you read Glick's latest article: Obama and the "Official Truth"
It has been much too long since a Havel Havelim has been posted, so this is rather unofficial. Yocheved's may have been the last HH. I'm going to include all sorts of posts from various blogs, mostly those I'm familiar with, but as I search, I hope to discover some new ones. Please share this round-up, comment and also visit and share the various posts. For Havel Havelim updates, check out our facebook page, thanks. Enough of an introduction, now to get started giving you a taste of what' s happening in the jblog (Jewish blogging) world. Have a Shabbat Shalom u'Mevorach, a peaceful and blessed Shabbat. The second longest running Jewish Blog Carnival is the monthly Kosher Cooking Carnival, posted on Rosh Chodesh, the beginning of each Jewish Month. It includes all different aspects of kosher food. Esser Agaroth's posts are always worth more than 2¢. Read his latest Forbidden First Fruits. 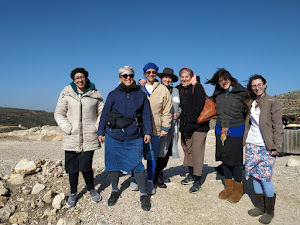 By checking out the blogroll on Esser Agaroth, I discovered this charming aliyah blog post, Shabbat in Givat Ze'ev with the Ever Family. 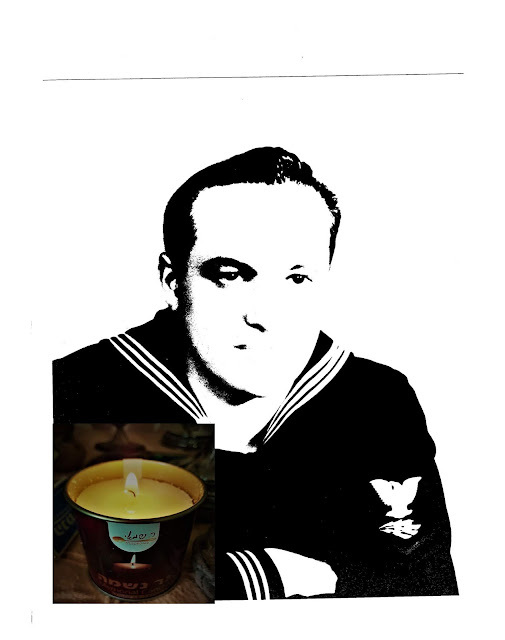 And through this blog I found The Curious Jew, which has some amazing posts, Poetic Justice in the Deaths of Avner and Amassa? and Mother's Day: A Painful Day? for example. Another great jblogger and inspiring person is Yocheved. Read her Friending Disabilities. My friend Miriam thinks she was had. Read why. Did we Waste our Votes? Many of us have changed our lives and taken very different roads to do so. Here's how one woman started: My First Real Shavuot . I have a question for you: Israel or The USA, Which is the True World Power? Blogging is something to do in one's "spare time." A recent HH hostess, Haveil Havelim #405- The Boston Marathon Terror Attack Edition, blogged that her "spare time" has up and left her. We hope that her life will get simpler soon. I just realized that most of the jbloggers in this little roundup are female. Hmmm how could that have happened? I'll try to balance things here. The Hawking Boycott, Fact or Fiction? War or Not War on The Syrian Front? Why All This Appease aka "Peace" sic Talk?